Have you ever missed an email and just went to full panic mode? That happened to me last week. I was organizing my inbox on Wednesday when I saw an email with the subject Review Request. I almost scream in my office when I saw that the email was sent on July. How did I miss this email?! I had no idea. I replied the email right then and there, praying that there is still a chance for me to get an ARC of this book because the synopsis caught my interest! It sounds like a book that’s right up my alley. I wanted to read this story and get to know Holiday Sanchez. Thankfully, Michelle Schlicher was very kind to send me an eARC of the book. Thank you, Michelle! Back to the book, when I first read the synopsis, I thought this was going to be a high school story. How wrong was I! The characters are grown adult; Holiday is a 24 year old woman who suffered from anxiety due to a horrible past event. She couldn’t move on from the incident as it involved both her parents. It was clear from the start that this book tells a story of healing. The beginning of the book is very intriguing. 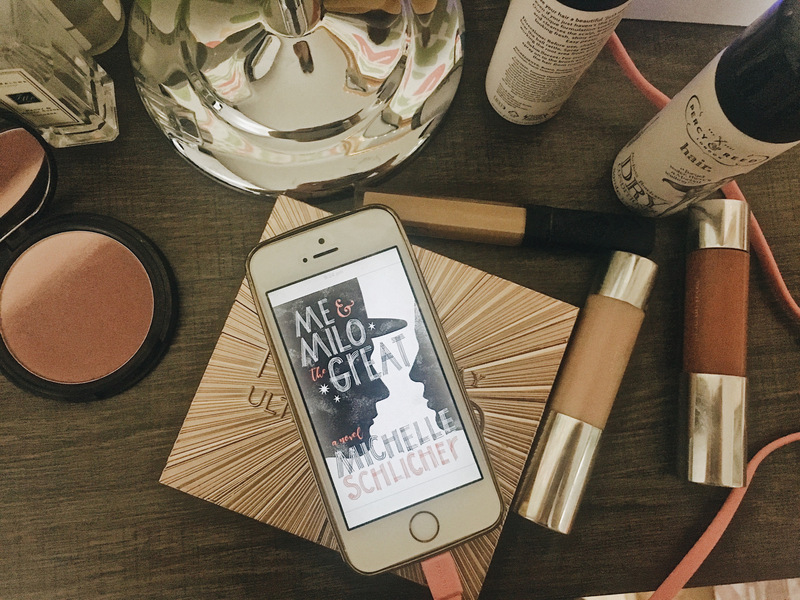 The way Michelle built the story will make you want to keep turning the pages. You would want to continue reading until you find the answers. Some people might find the beginning very slow but honestly, it worked. The book is written in back and forth style. While it can be distracting in some books, it’s not in this one! The transition between the changes is really smooth. Also you can tell that in the ‘now’ parts, Holiday is ready to move on and that’s really where the story really begins. It’s easy to sit by yourself instead of finding a table of friends to eat lunch with. It’s easy to walk through your life without living it. And you know what else it is? Safe. Holiday Sanchez is a character that you will feel sympathetic towards. While it maybe due to us being introduced to her through the hardship that she went through at the beginning of the story, the adult Holiday is still struggling. To me, she wasn’t living; she was just going with the motion. Many times while reading the book, I wish she would talk to others more and go out more. However, her anxiety crippled her. Random fact: Holiday Sanchez doesn’t use transportation when she gets out of her house. She walks. Everywhere. Unless it’s too far – sometimes she takes cabs. Every time she went out of her house, I found myself chanting in my head – telling her to go out and talk to people – as if she could actually hear me. I think after reading all the horrible things that happened to her, I just want her to be finally happy and living. That’s why I was so relieved when she finally met Milo the Great. Milo is a part time magician and full time web developer. Holiday met him while going to the train station and he was there, performing magic. 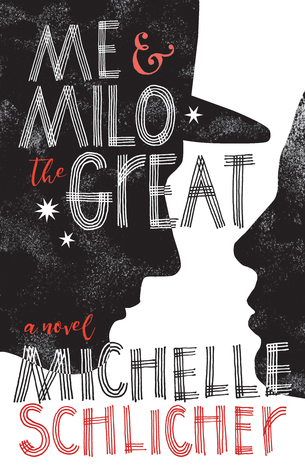 Honestly, there is not many informations on Milo as the story is written from Holiday’s POV and we only got to know Milo from what she thought of him and how he acted around her. I have to say that I like Milo the moment he appeared. Milo is someone I’d like to know in real life. He’s always happy, always cheerful. Also, he’s good at communicating with Holiday; even when he was confused. Milo also brought Holiday out of her shell and made her really happy. Adorable! He pulls me to him and whispers in my ear. “It’s nice to finally meet you, Holiday Sanchez.” I hug him back, thinking it’s nice to finally be met. Romance is not the focus in this story. However, there are enough adorable moments that will make you squeal and giggle sprinkled throughout the book. Have I mentioned that Holiday is graphic designer and Milo is a web developer? Even their job is compatible; definitely match made in heaven. Given Holiday’s (and probably Milo) lack of experience in dating scene, it’s really fun reading the two trying to navigate relationships. Although I have to say that the two seemed to find the pattern that work for both of them early in their relationship. I want this feeling to stick around, this ease of being together, this something different from what I’ve known. The romance in this book is definitely the light part of the story. It feels like we are only seeing the surface of the relationship. Despite that, it still gives that happy and exciting mood in this story of healing. Milo lights up Holiday’s day (and night) and is always there for Holiday – when she wanted him by her side. Their relationship is very mature. This is not a couple who is together 24/7. They both understand each other’s professional responsibility while making sure that they are present when the other needed them. ahhh am adding this to my reading list because it looks like exactly the kinda thing i’m into! anything that makes me feel hopeful is a winner in my books!